What a beautiful landscape! not doubt of that, but the weather was even better! Korea in August (when I arrived) was really hot, and Hey! I'm from a Tropical country! 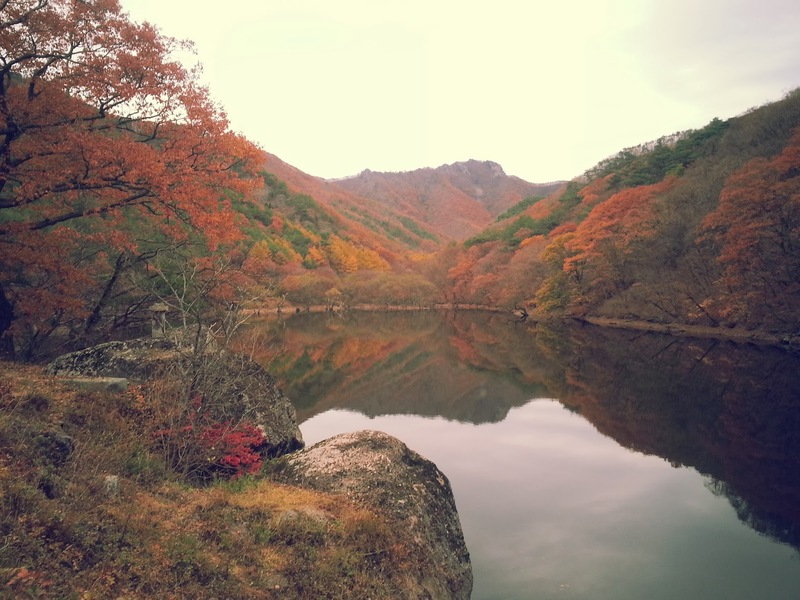 Korea is hot and humid but thanks God the temperature started to decrease at the end of September, 17°C to 12°C and fresh air everyday, even though it lasted a couple of weeks before winter came. 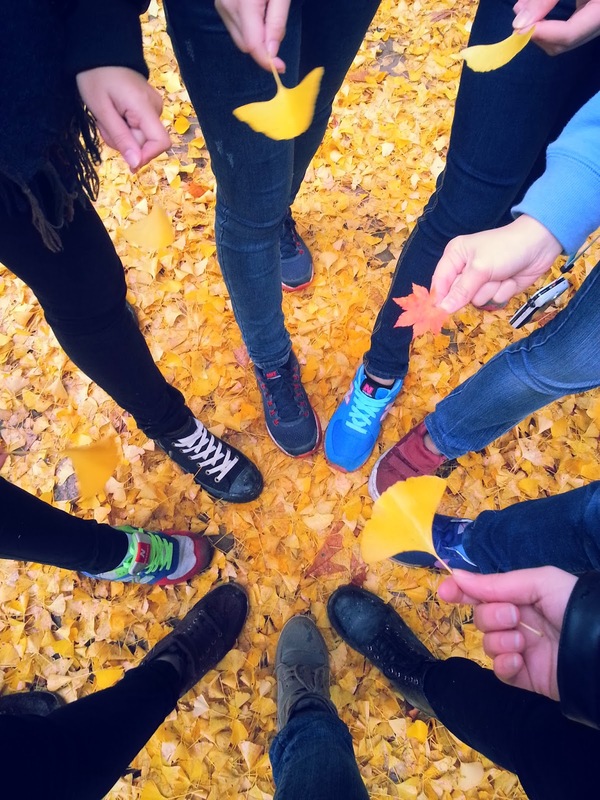 The trees start to change color from green to red, yellow or brown. Slowly the mountains around the cities seem like dying. From my University I could see Suri mountain with some brown-ish spots spreding along while weeks passed by, until it was completely bold. 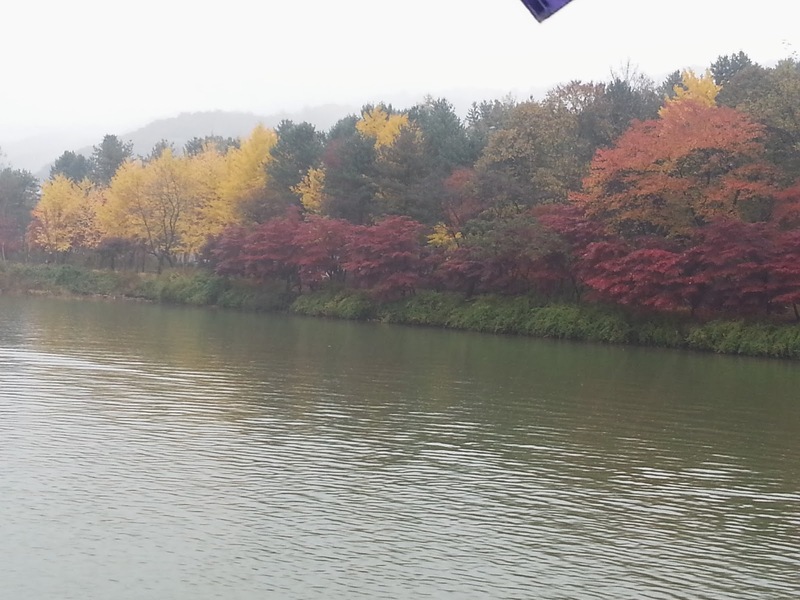 The best place to enjoy the fall foliage is Nami Island. 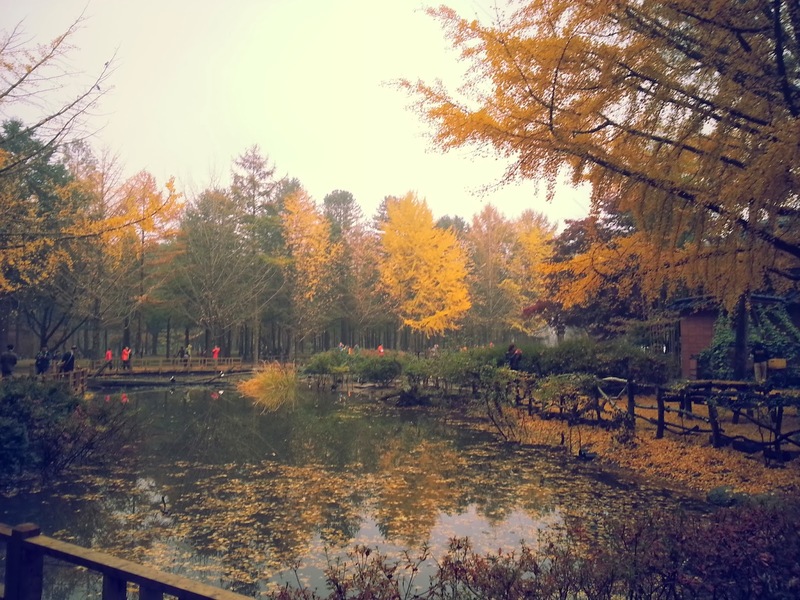 I went there with my friends; the view was impressing and the colors incredible. 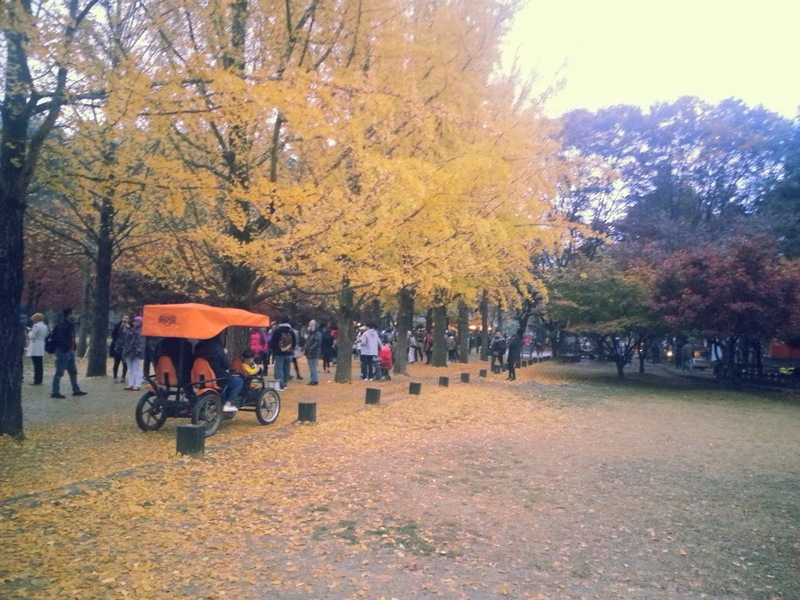 Even though it was crowded because of its popularity, there is still a lot of space to enjoy a beautiful afternoon. Well, something very important before you go to Nami, it's to check the weather, unfortunately it was raining that day and was really cold, but we enjoyed a lot. 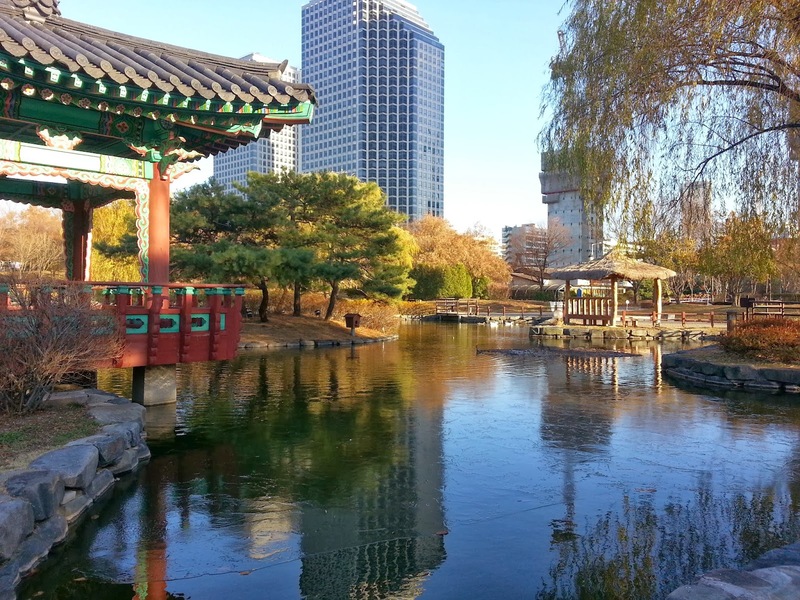 Or just stay in Seoul and visit any park nearby. 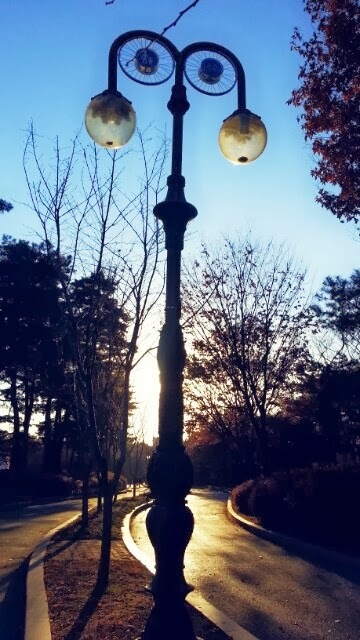 I went to Yeuido Park and took amazing pictures of the sunset. This is the shortest post I have ever wrote haha, I don't have to much to say, I hope you enjoyed the pictures.